Virat Kohli scored his 25th ton in Test career. 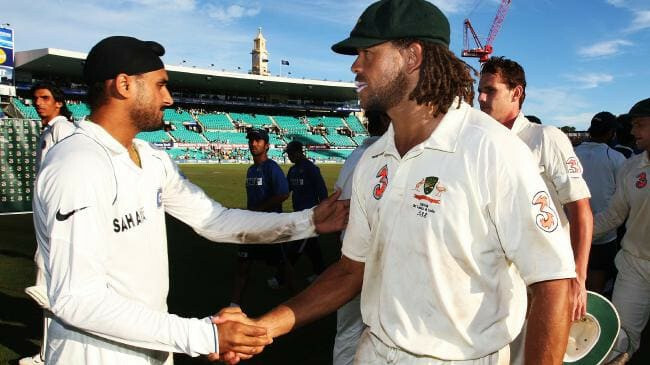 The third day of the second Test played at Perth had a very controversial moment during Indian innings. India managed to put up 283 runs in reply to Australia’s 326 runs. The hero of Indian innings was captain Virat Kohli, who hit his 25th Test ton, 7th against Australia and 6th in Australia; making 123 runs with 13 fours and one six. Kohli was looking ominous despite India losing wickets at the other end. Just when it looked that Kohli will guide the tailenders and take India towards a good total and even a slight lead, Pat Cummins got him to drive a wide ball, and an edge seemingly carried to Peter Handscomb in slips. The 30-year-old took to DRS to review the decision and by the zoomed in footages, it looked like the ball had touched the ground in between Handscomb’s fingers. However, the third umpire gave it out, based on the soft signal given by the umpire in the middle and Indian skipper looked unhappy as he walked back towards the pavilion. Now the cricket experts opined on the validity of the catch and we have some opinions for you. The bottom line is that technology in such matters is inconclusive and will always be inconclusive because we are seeing a 3 dimensional event in 2 dimensions. And so the verdict tend to go with the on-field umpire. Out or not out??? Shared my view on #extraainnings what's yours? Increased use of technology will inevitably create vexing situations like Kohli dismissal we just saw: pain or gain depending which way you want to see it. What’s important is whether technology makes the game fairer. Majority of players believe so.